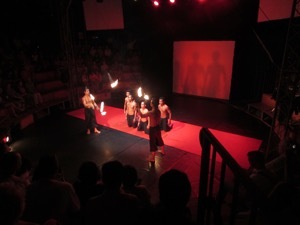 The Cambodian Circus/ Phare in Siem Reap is well presented with an upmarket theatre/creative arts feel. 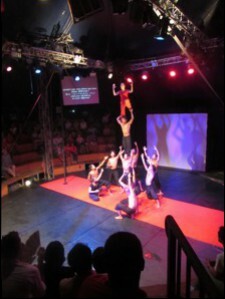 It’s a mix of impressive acrobatics, clowning and traditional story telling and supports training for disadvantaged youth in these creative arts. There’s Blue Pumpkin icecream, alcoholic drinks and some good meal choices available at the entrance. It’s fun and well worth a visit ($18 US per ticket).